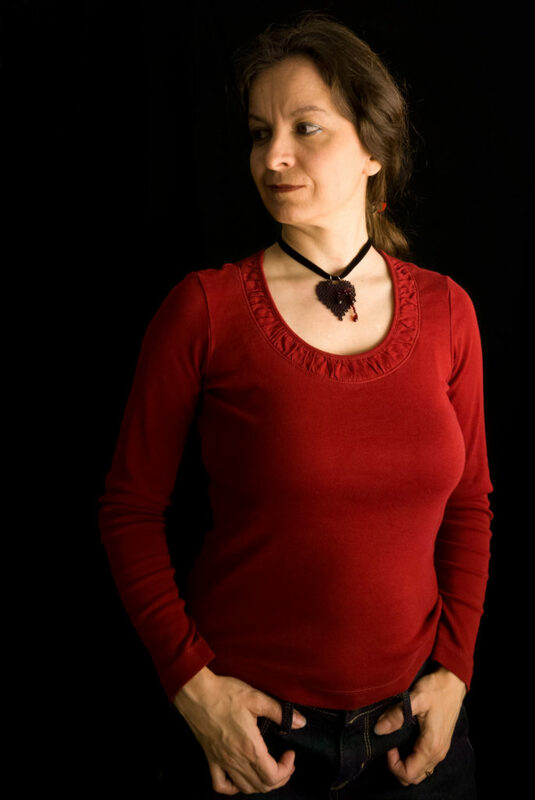 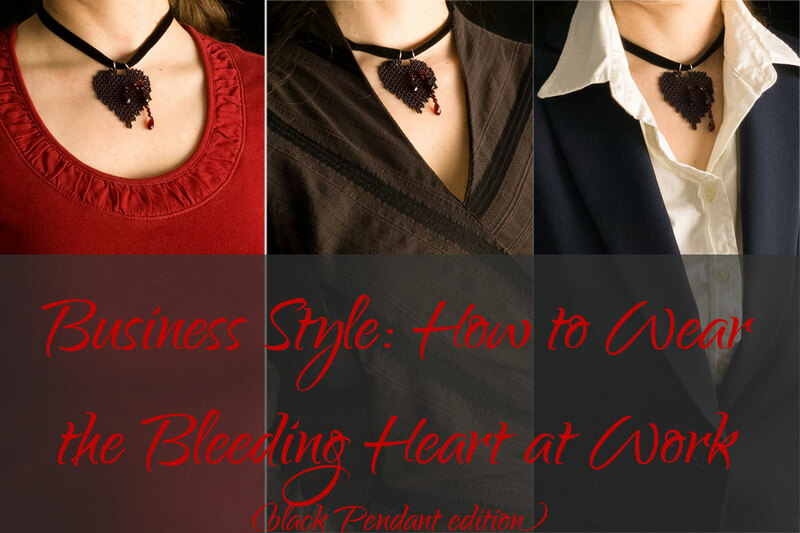 The Bleeding Heart Pendant in black worn with a Casual work outfit: a simple fitted red long-sleeved top with round scoop neckline, and blue dark-wash jeans. 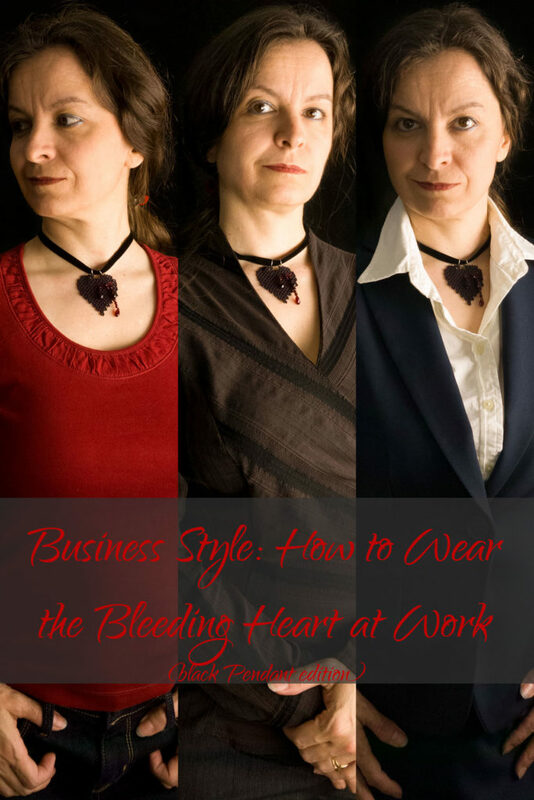 Wear the black Bleeding Heart Pendant at work with a Business Casual outfit: A chocolate brown, tone-in-tone striped wrap blouse worn over grey pin-striped slacks from a Business Professional suit. 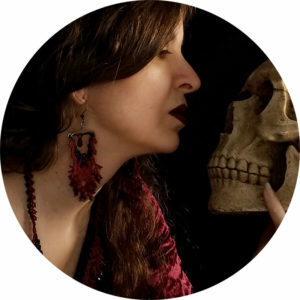 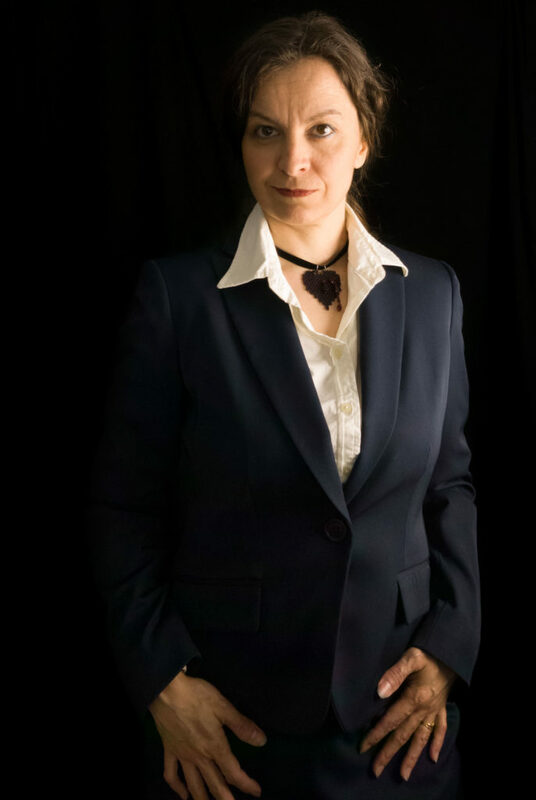 For the Business Professional Outfit, I paired the Bleeding Heart Pendant in black with a white button-up blouse under a 2-piece skirt suit in navy blue. 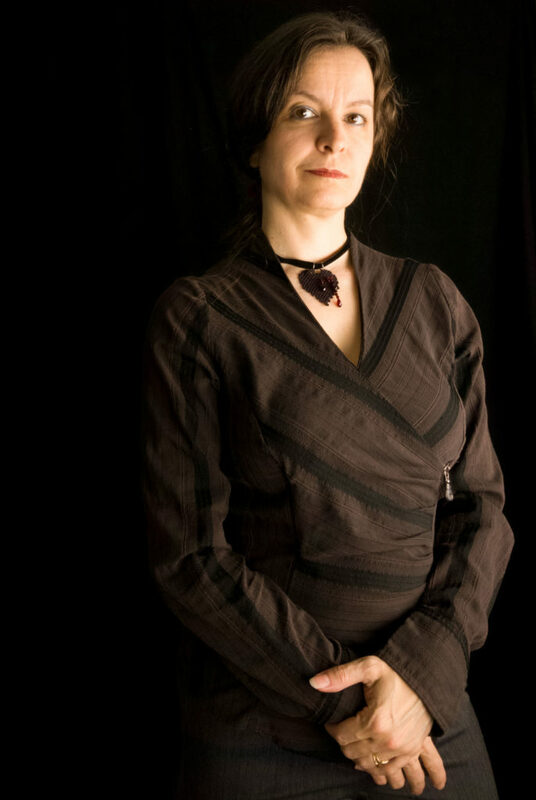 This piece is part of my Blood-Drenched Lace Collection.